Over the years I’ve been very fortunate to have accumulated many great customers. Art Nicholas and the Wagonhound Ranch has been one of them. This world class ranch is located near Douglas, Wyoming and features top shelf big game hunts, horses, and cattle. Art and his staff have been working toward a production sale for their horse program for the last several years. The sale is scheduled for September of this year at the ranch and promises to be a great one. 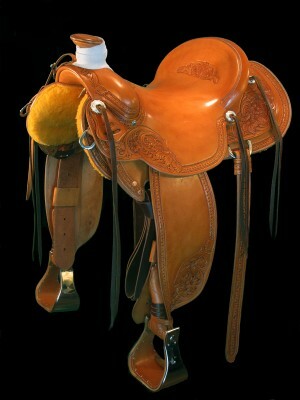 The top ten buyers names will be placed in a drawing for one of my saddles. To learn more about the Wagonhound Land & Livestock Production Sale click here. To find out more about Cary Schwarz custom made saddles click here.